Home > Affording a Mortgage > Will I Get Repossessed If I Can't Pay My Mortgage? In recent years the UK economy has suffered a massive blow, a cocktail of rising unemployment and higher living costs has meant many homeowners have struggled to pay their mortgage. The good news is that lenders want to help you, believe it or not, no mortgage lender actually wants to repossess you as this means they lose money because they do not receive the interest payable on your mortgage. Mortgage lenders are increasingly looking for ways to try and help homeowners avoid repossession. These few questions should help you decipher if your situation is critical. 1, How Far Behind Are You With Payments? A)	I have already alerted my lender to my financial situation and they seemed confident they could temporarily lower my payments. A)	I live in a house with my husband and two children and also my elderly mother, we have no savings and own less than 20% of the property. B) We did have a high LTV mortgage - 125%, which has now come to an end and our mortgage rate has jumped dramatically. It sounds like you still have some time to play with and there are measures you can take to avoid repossession. Your first step should be to speak to your lender if you anticipate you are going to have any problems making one of your payments. And as long as you can pay something off each month a lender will not want to move in and repossess. If you’re financial troubles will soon be coming to an end or you have a way of earning more money, your lender will look favourably on this. There are also a number of government mortgage schemes which are designed to help those who are struggling to make their mortgage payments. 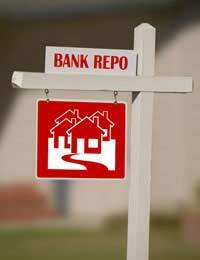 If your situation deteriorates you could always ask you lender about the Mortgage Rescue Scheme or Mortgage Support Scheme and see if you would be eligible to apply. But you shouldn’t panic as it seems you have spotted your problems early on and your lender should be able to help you. You seem to have hesitated and not contacted somebody for help. Just because you have missed one mortgage payment it does not mean you need to start worrying, but if you miss three payments your mortgage lender may start to take action if they do not hear from you. A number of mortgage lenders have signed a contract that states they will not repossess a property for six months if the homeowner is in financial trouble. This does not mean that you should sit back and relax for six months. Some lenders are quicker to repossess than others, so the sooner you speak to your lender the better. Your situation sounds worrying and you need to seek professional advice ASAP. If you cannot afford to seek legal help, you should visit your local Citizens Advice Bureau who should be able to offer you some guidance. If your lender is threatening action it is only a matter of time before they put their words into action. If you have no job and no realistic chance of paying back your mortgage you should consider selling the property before a lender repossesses. Help may be available from the government, but its criteria can be strict and if you own over 30% of the property they might prefer you to sell to pay off the debt. Repossession rates are at record highs at the moment, but this doesn’t mean lenders want to repossess. If you are experiencing trouble seek help ASAP and stay calm, if you can’t meet your mortgage payments it may be better to sell the property rather than struggle on unhappy.